The Zapper! : "Wolfpack Studios Closing"
On May 15th, Ubisoft will be closing the doors on Wolfpack Studios, developer of longstanding Zapper! survivalist Shadowbane. An Ubisoft representative said the game would remain free until then but did not illuminate their plans for the Shadowbane after that. The move is part of Ubisoft's "overall strategy" to focus their efforts on its larger studios where resources are more readily available. I have mixed feelings about this. 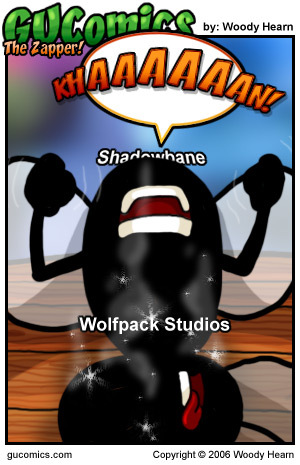 I've enjoyed poking at Shadowbane. But, as always, I hate seeing MMOGs suffer and die. Now, it's quite possible that the game will not close. But, given the statements made by the Ubisoft representative, I highly doubt it. With this news in hand, it now seems to me that Ubisoft likely made the game free in an effort to clear up any potential billing concerns before closing the gate on Shadowbane and possibly to take the sting out of the announcement when the game finally hits the Zapper. It would be interesting to see how Ubisoft would respond if we, as a gaming community, flooded Shadowbane over the next month and a half.